Party season is in full swing. 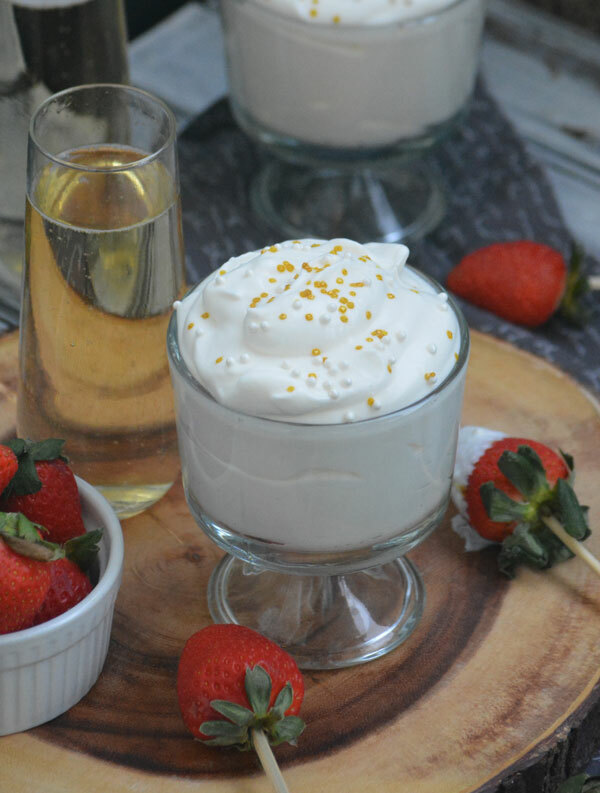 Don’t let your menu miss out- this Champagne Cheesecake Fruit Dip begs to be on the nice list. It’s also a perfect way to ring in the New Year- in boozy dessert form you can feel less bad about, since it’s paired with your favorite fruits.